Last week saw the news that industry watchdogs are taking aim at hotel booking sites and meta-search engines such as Expedia, Booking.com and Trivago. This was in order to address the issue of how these sites display and rank hotel rooms linked to ‘retail aimed travel fare aggregators. The investigation relates to the concerns that some online sites may be making misleading claims on discounts along with giving a false impression to consumers about room availability. This news follows similar headlines in late 2017, which saw booking sites probed by consumer watchdog`s, as fears that rather than helping consumers, the sites were making it more difficult to book. These fears also surrounded the clarity, accuracy and presentation of information on offer to consumers wishing to book. These investigations highlight the need for businesses to have confidence in the booking channels they are using to source hotel stays for their business trips. 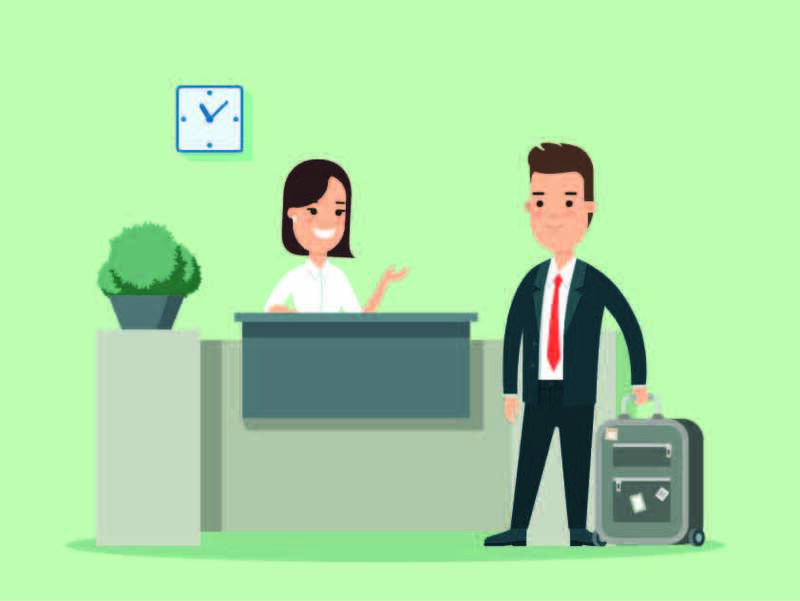 To ensure organisations can manage their hotel programme`s in a fair and controlled way, Travel Management Companies have corporate tools on hand to combat this. This technology is teamed with a blend of multi-level hotel rate content from hotel chains, independent hotels and hotel aggregators to create a balanced mix of content for clients. By practising this it allows travellers to make an informed decision about the rates they purchase within their travel policy. Organisations can take advantage of both flexible corporate rates as well as advanced purchase restricted rates. Business Travel Agencies strategically work with their clients on an ongoing basis to help control their hotel expenditure by using the features of “corporate hotel” booking tools. How do they do this you may ask? Below we detail some of the work our Account Management Team here at Good Travel Management have conducted recently which has enabled our clients to successfully maintain and manage their hotel spend expenditure via our booking technology. 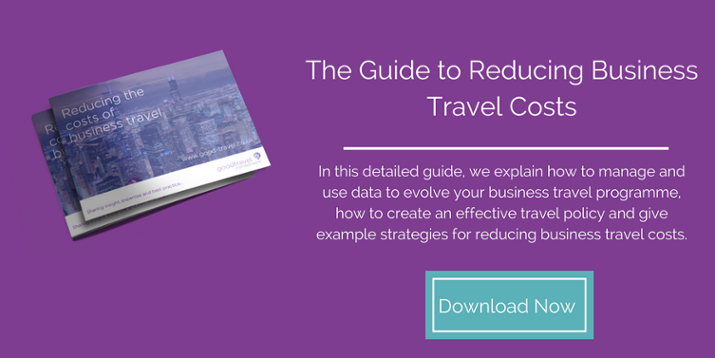 By embedding an organisations business travel policy into booking tools, businesses can rest assured that all travel expenditure will be within policy. The introduction of rate caps on both a national or regional basis can prove a very savvy tactic to control hotel spend. Working in partnership with clients, we have personally introduced rate caps related to new project work in specific areas to help control costs in a given area. The rate caps can be used as a benchmark against previous average rates, or versus projected hotel industry forecasts. Approval Process – Should an employee wish to book outside of travel policy, where high costs relate to a high demand area in the event of a “trade show” for example. Policy approvals can allow the employee to send an approval request for an “approver” such as a line manager to approve the reservation, all within the control of the booking tool itself. Approved hotel suppliers - Suppliers who may offer more added value to your business by supplying a corporate rate which includes added value features such as breakfast, complimentary Wi-Fi, parking and gym access, can be highlighted as an approved supplier to focus bookers to preferred properties. By helping to consolidate room nights into these properties, this tactic will also ensure when it comes to re-negotiating your agreement with the hotel, that any expected room nights volumes are hit and maintained to extend your agreement. Control over hotel content – With the wide variety of hotel content available on hotel booking sites, the ability to block out any unsatisfactory accommodation in questionable locations (linked to your employee's well-being and safety) is crucial. Travel Management Companies can remove such accommodation types to ensure travellers stay in satisfactory accommodation at all times. VAT - Online travel agents (OTA’s) typically offer prepaid rates, which, unfortunately, means corporates cannot reclaim the VAT. This effectively makes the hotel rate 20% more expensive than it initially appears. For example, let's say the price on the approved booking tool and the online travel agent is the same at £80, the comparative (net) price on the approved online booking tool is £64.00, a 20% saving. The approved corporate rate also includes breakfast worth £10, WI-FI, and car parking worth £12 within the rate, thus saving a further £22. In total, the corporate rate is £36 cheaper than the online travel agent, even though at first glance it would appear to be the same. Invoices should always clearly breakdown VAT where applicable, allowing organisations to then reclaim the VAT quickly and efficiently. Strategic and fixed locations - By using strategic and fixed locations, clients are able to save time searching for a hotel in a new location linked to project work or properties near a global, regional or national HQ. Users can simply use the search criteria within booking systems using a drop-down list of “site locations”. Search results presented by tools will be in close proximity to the exact locations clients need to visit. Visibility – Booking platforms are integrated with client facing management information systems providing users with real-time visibility to hotel spend, booking habits and usage of preferred properties and rates, driving an improved understanding and analysis of hotel expenditure. Authority levels – Travel Management Companies using this flexible approach to each client’s needs means TMC’s have the ability to provide approved users of tools (such as Senior Personal Assistants or Senior Level Management) to be able to book outside of policy limits within reason. By using some of the above approaches to controlling hotel expenditure within booking systems. Good Travel Management Is helping its clients achieve a significant return on investment against their hotel spend.